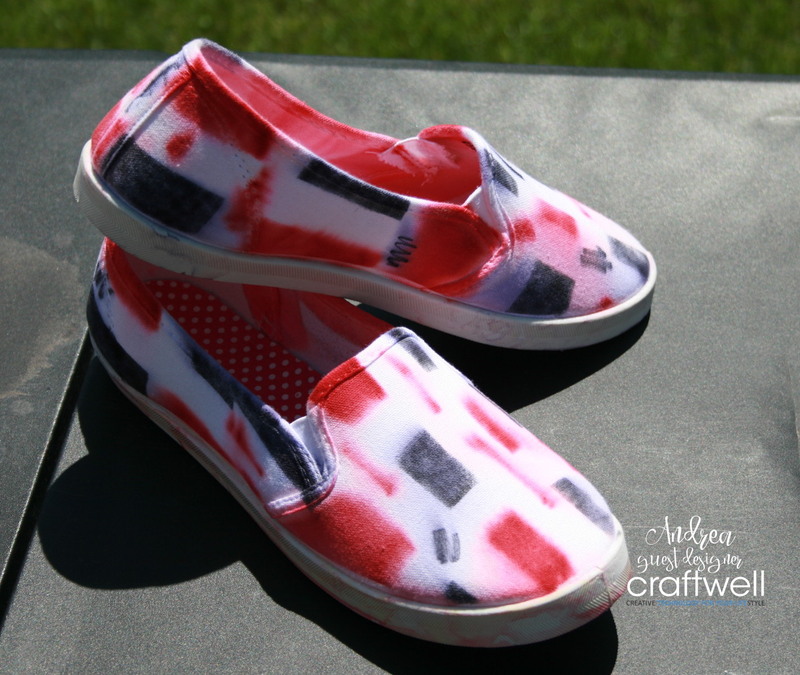 Andrea here with another fun idea for some upcycling of some plain canvas slip-ons. *Adult supervision is required and it is recommended that you work in a well ventilated area. Below is a quick video overview of creating this project. For a more detailed step by step written tutorial, please click here.